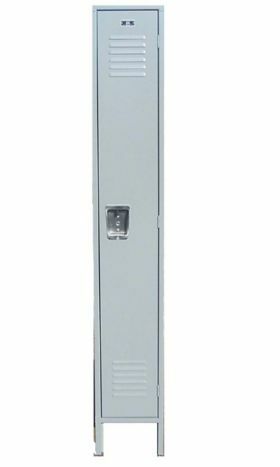 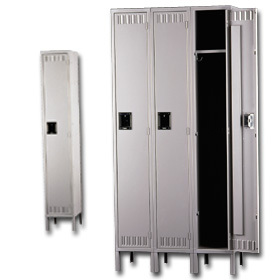 All of our metal employee lockers are high quality and come from carefully selected manufacturers for price and quality and service. 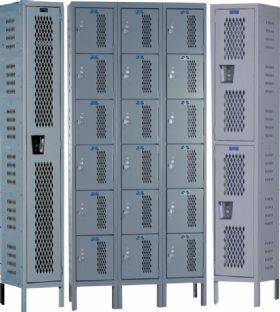 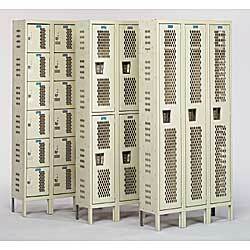 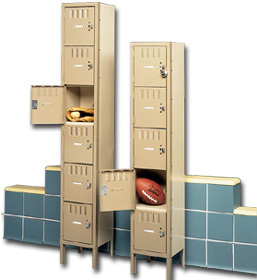 Lockers are described here in tiers for the number of lockers in a sections. 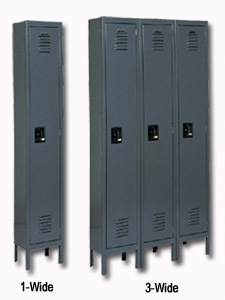 For example a single tier locker is one locker, a two tier locker has two lockers or openings per unit, one above the other. 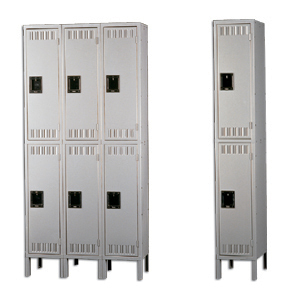 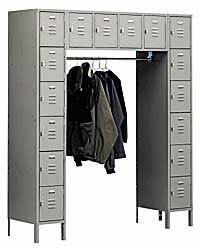 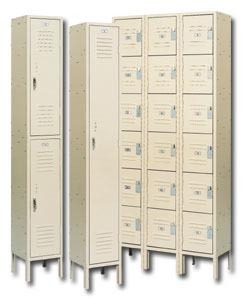 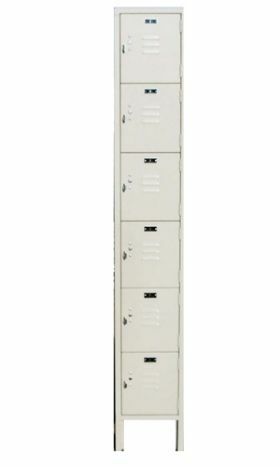 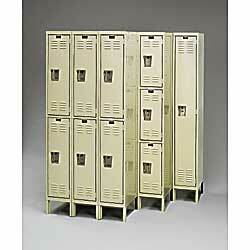 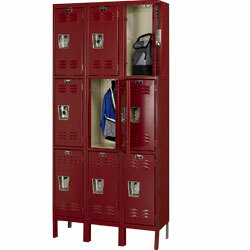 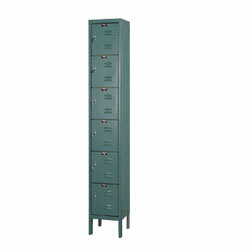 5&6 tier lockers, also known as box lockers are also available in our quickship program. 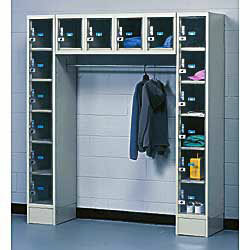 Material Handling Solutions is a small company but we try to be large on service. 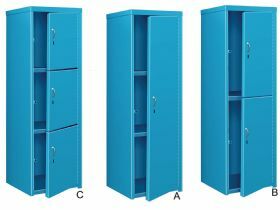 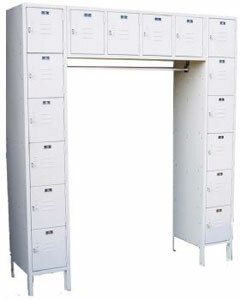 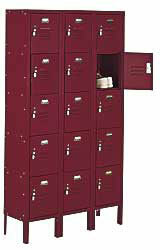 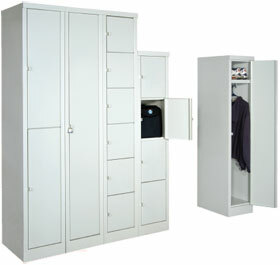 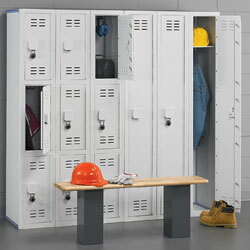 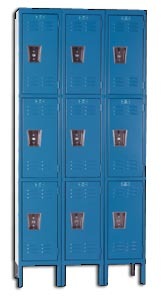 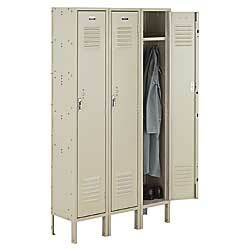 We will lay out and design your lockers absolutely free of charge to you. 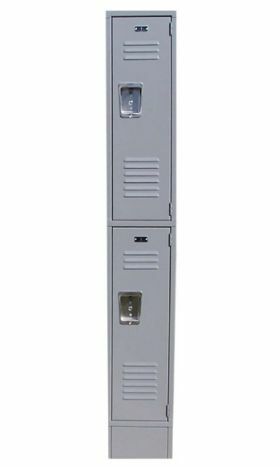 We just ask that you not give our drawing to anyone else to quote from. 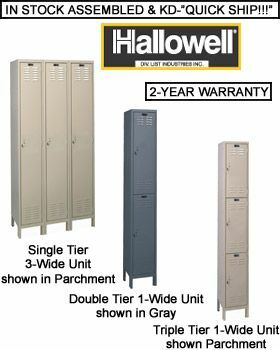 Our employees are trained to be specialists on each of the products we sell.